We have updated our live weather page with a number of new features. The page updates every 3 seconds with a live feed from a Davis Vantage Pro 2 on the roof of 1-19 Torrington Place, just off Tottenham Court Road in London. UV Index, showing the current UV level for London. 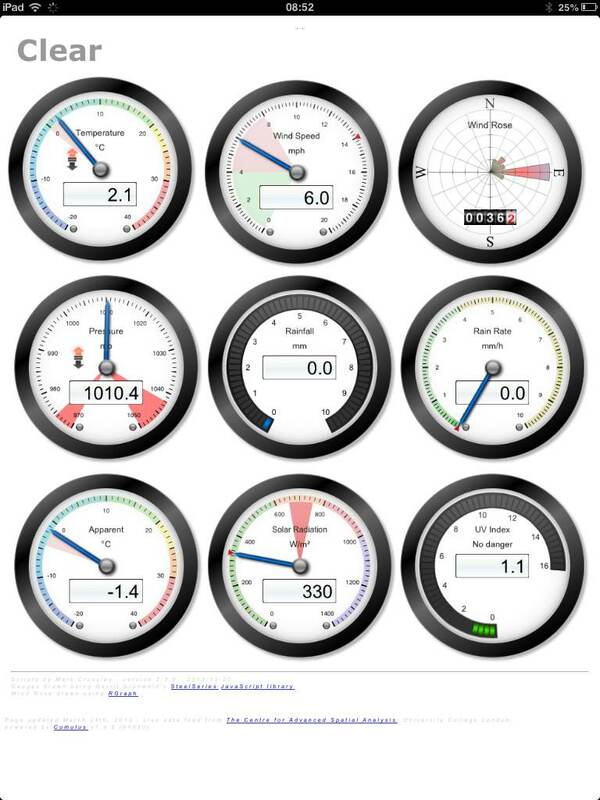 The page is optimised for a tablet/mobile view – View the live London Weather Dials.